In 2013 Central Primary was awarded the Artsmark for its continued commitment to the Creative Arts. This award was valid from 2013-2016. In 2015 one year before our Artsmark validation we applied for Artsmark Gold Status and were successful in acheiveing the award. We have submitted a bid for Artsmark Platinum in 2017 and are working towards this award currently. We currently provide specialist Dance lessons to all year groups, and pupils receive Art, Dance, Design Technology, Drama and Music lessons on a regular basis. We encourage our pupils to learn a music instrument and all pupils in Year 3 learn the guitar, while pupils in Year 4 and 5 learn djembe drums. For the past two years we have been working with the Voices Foundation to develop our singing teaching, and we have local partnerships with Watford Palace Theatre and Watford TV. There is always a lot happening in our Art curriculum so have a look at our news page for the latest updates. We are delighted to announce as a school that we have been recognised by Hertfordshire as having robust and effective Anti-Bullying proceedures in place. Our Anti-Bullying Accreditation demonstrates our continued development of our positive behaviour policy as we strive to make Central a warm and welcoming place that everyone enjoys coming to. The award is given in recognition of achieving high quality anti-bullying practice against rigorous standards in the following areas: Leadership; Governance; Policy; Staff Training and Development; Curriculum Content and Delivery; Pupil Engagement; Stakeholder Consultation and Quality Assurance Reviews. Central Primary has Healthy School status. This means we have a committment to healthy eating, regular physical exercise and promote pupils’ well-being. We have recently developed our urban garden in which pupils grow vegetables and herbs in their playtimes. We work with a range of external providers including Fit4Fun, Skill 7 and other physical education and healthy eating providers. During 2016 we revalidated our Healthy School status, gaining the enhanced status through our work on healthy role models. 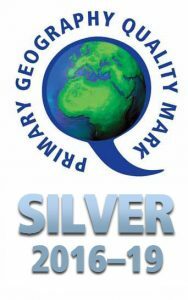 Central Primary received the Silver History Quality Mark in May 2016. This represents the commitment we have as a school to the quality of our History teaching. History is an integral part of our school’s curriculum and is a developing strength of the work we do. There are cross-curricular links between History and other subjects and pupils enjoy their learning in History. Our next step is achieving the Gold Award. In 2013 Central Primary was awarded the Full International School Award by the British Council for its commitment to an Outstanding International Curriculum. In 2016 we successfully revalidated our award and are promoting our work locally through working as a centre of excellence. Our curriculum work ensures that it takes a World view and promotes pupils’ understanding of different cultures, countries and languages. Throughout each academic year pupils will learn in their curriculum work about different countries. Subjects like Art represent artists from around the World and we take opportunities to link with schools from around the globe to work on collaborative projects. We are always looking for new international partners, so if you are an international school. please do get in touch. 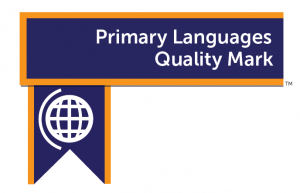 We are delighted to announce that we have been awarded the Primary Languages Award – Silver Level – for our committment and work in Modern Foreign Languages. We teach languages throughout Key Stage 1 and 2, allowing us to build up language learning over time. We are one of the first schools in the country to be awarded the silver award and are committed to our continued development in our provision of languages to ensure that in the near future we obtain the Gold Level. 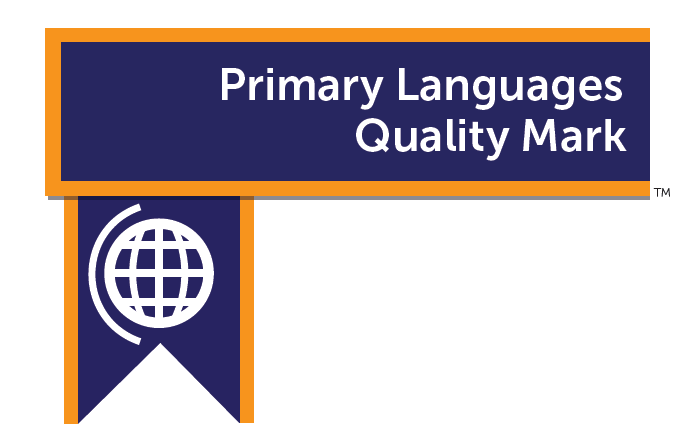 The award recognised the quality of our languages teaching, learning and provision. It was presented to the whole school in assembly allowed us to celebrate the award. We are pleased to work with Stonewall and this quality mark indicates that we have undergone training to support reducing homophobia and transphobia within our community. We promote diversity and celebrate difference through our curriculum and our policies. We were pleased to be awarded the Silver Geography Mark in 2016 as this award reflects effective whole school approaches that support excellence in Geography. Geography is a valued part of our curriculum and the children enjoy learning about their World, its people and the places within it. We are working hard to have an excellent Science curriculum throughout our school. This is reflected in our award of the Silver Science Quality Mark in 2016. We intend to build on this achievement and work towards sharing our work with others as well as building up the scientific investigations of our children.